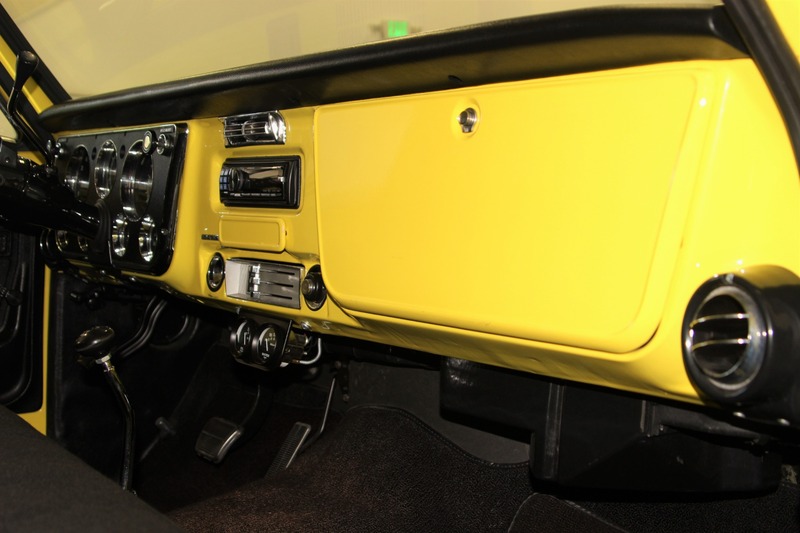 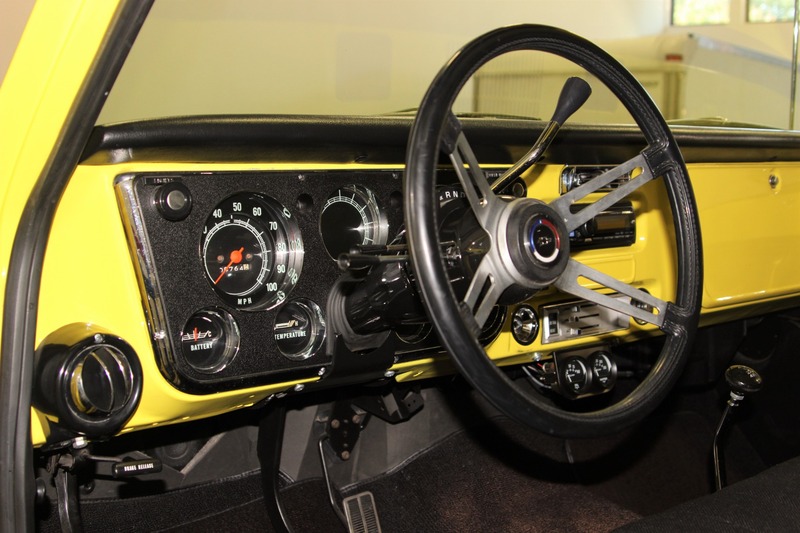 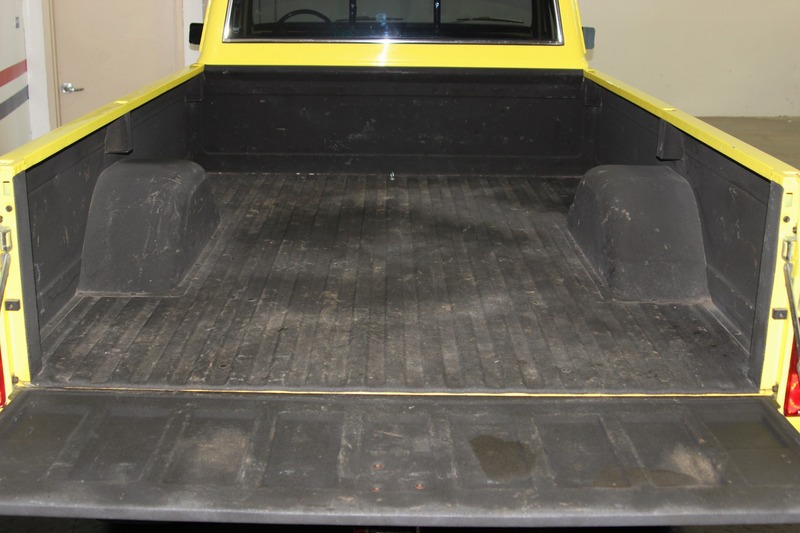 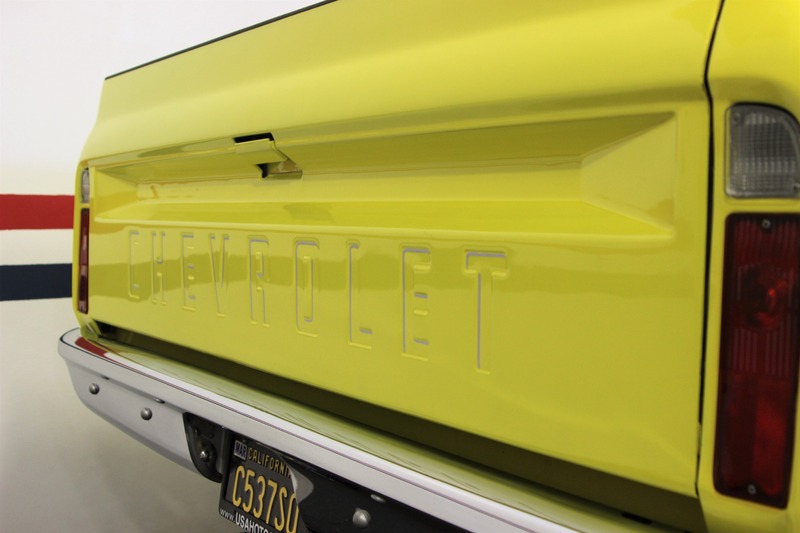 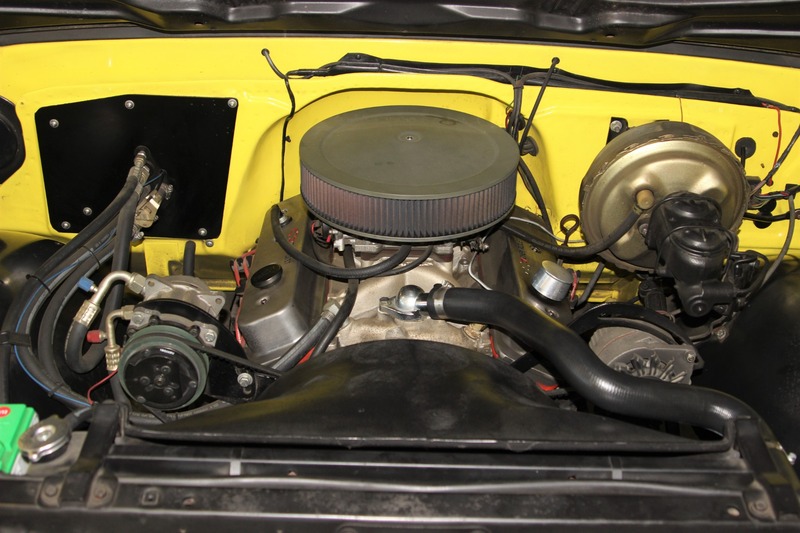 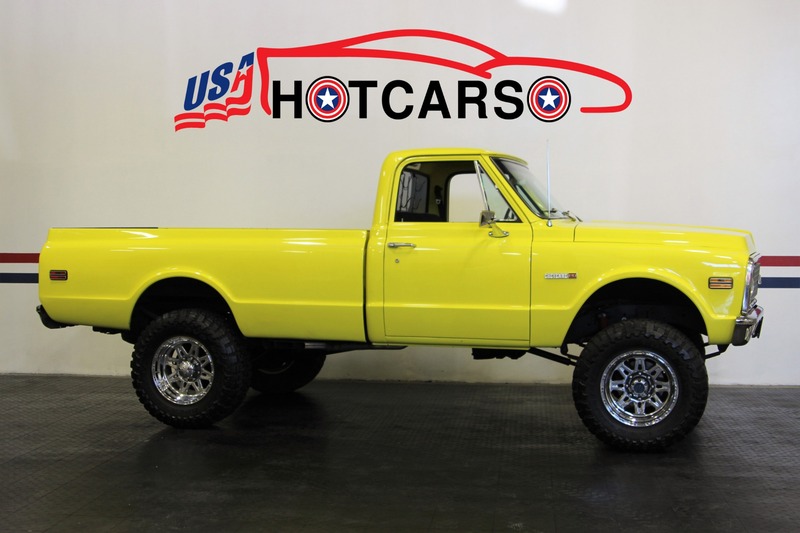 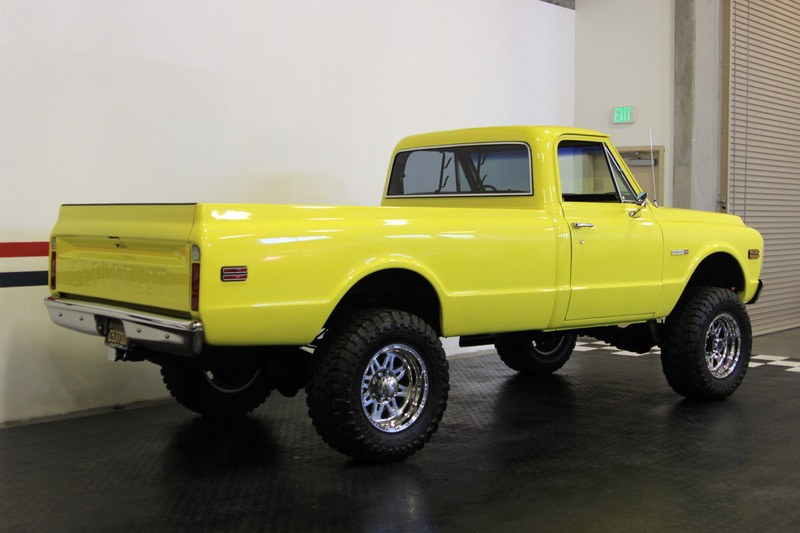 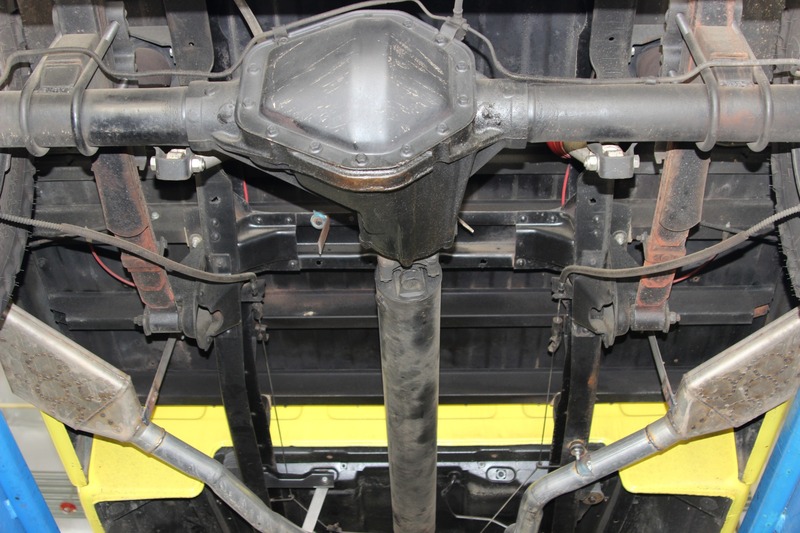 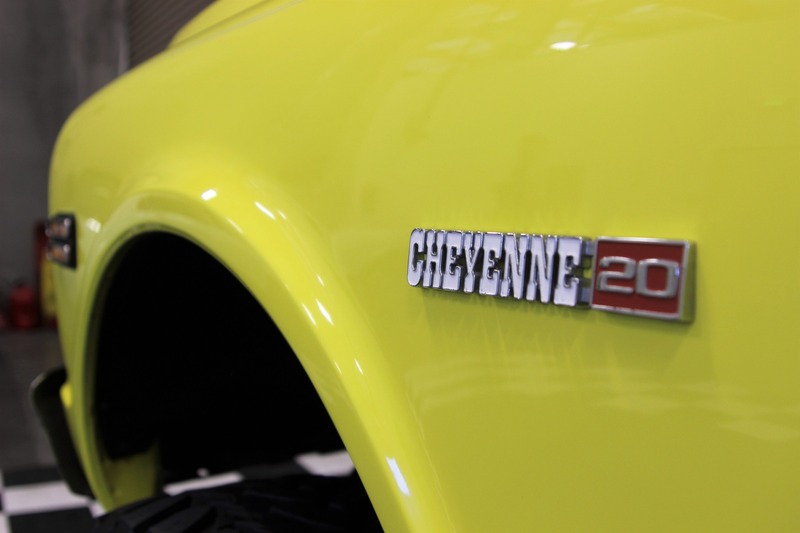 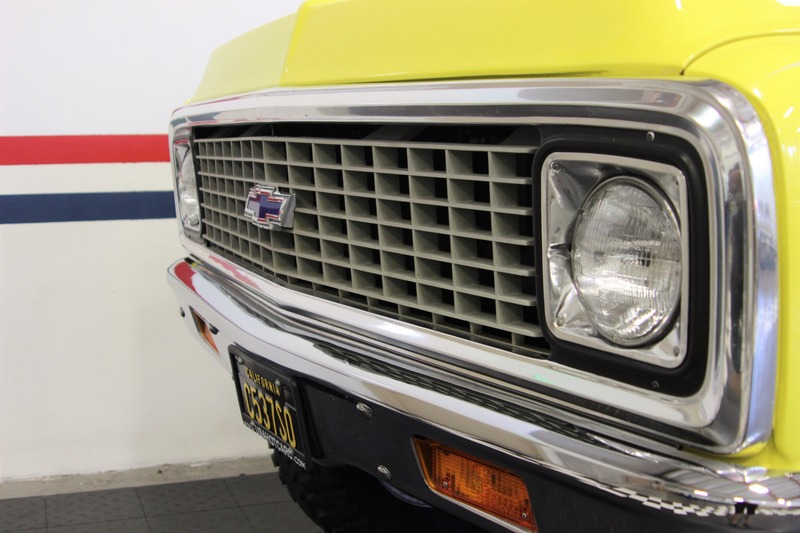 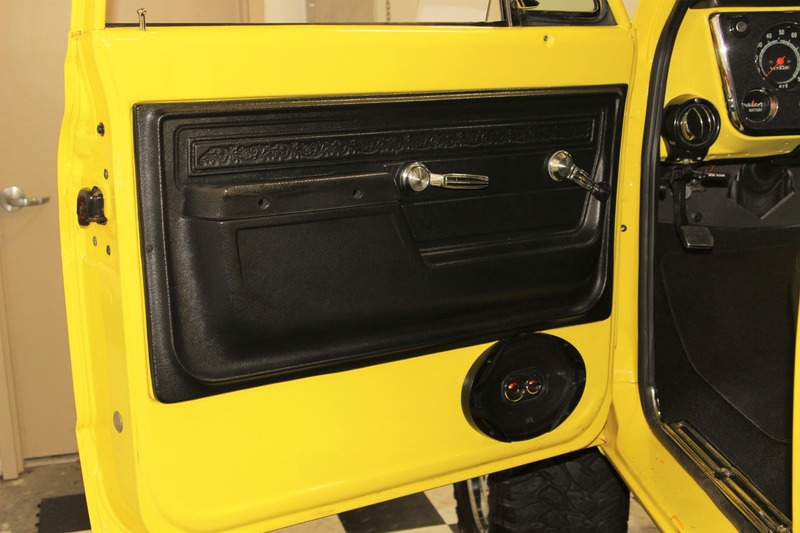 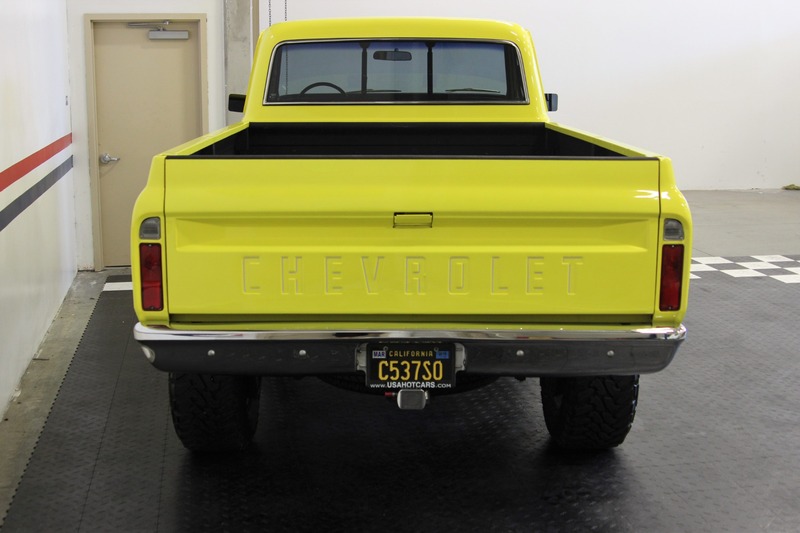 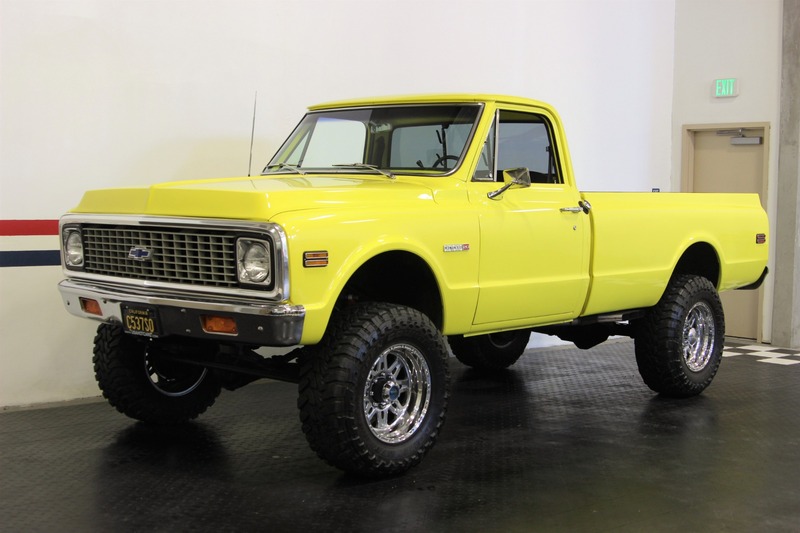 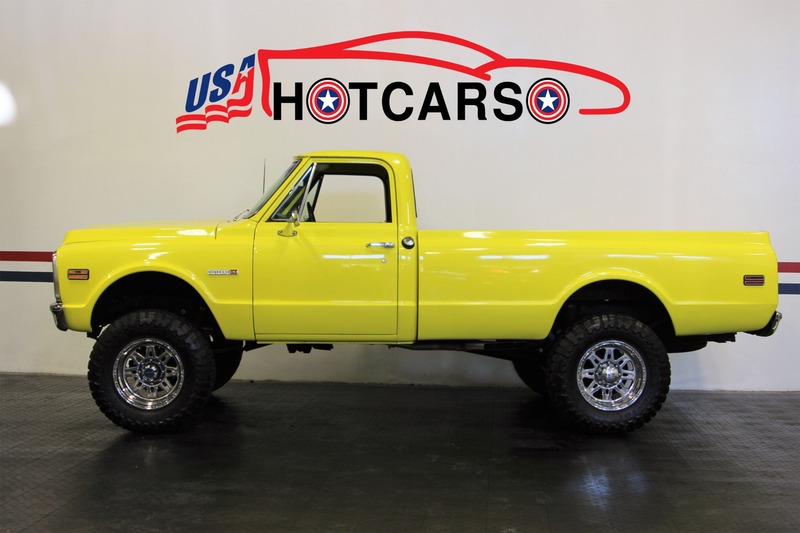 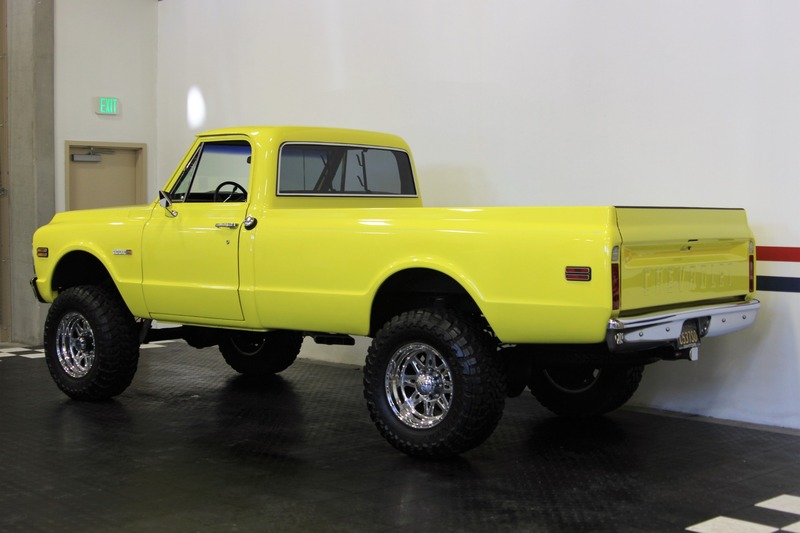 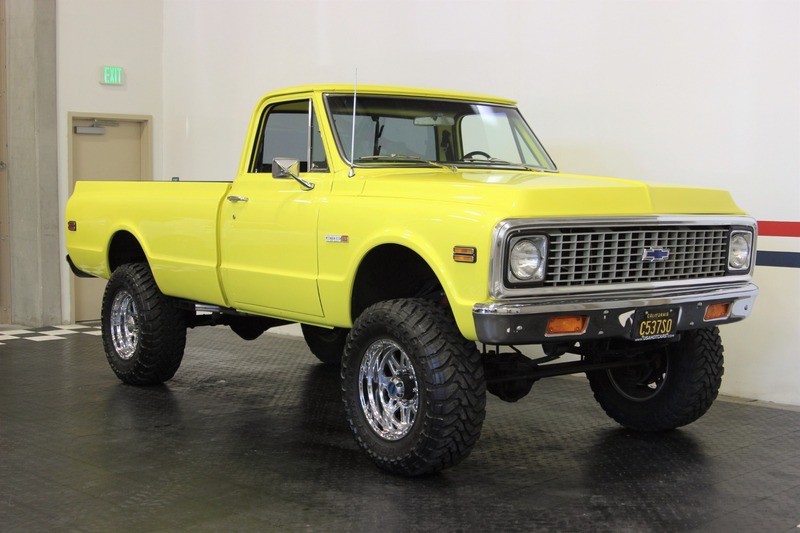 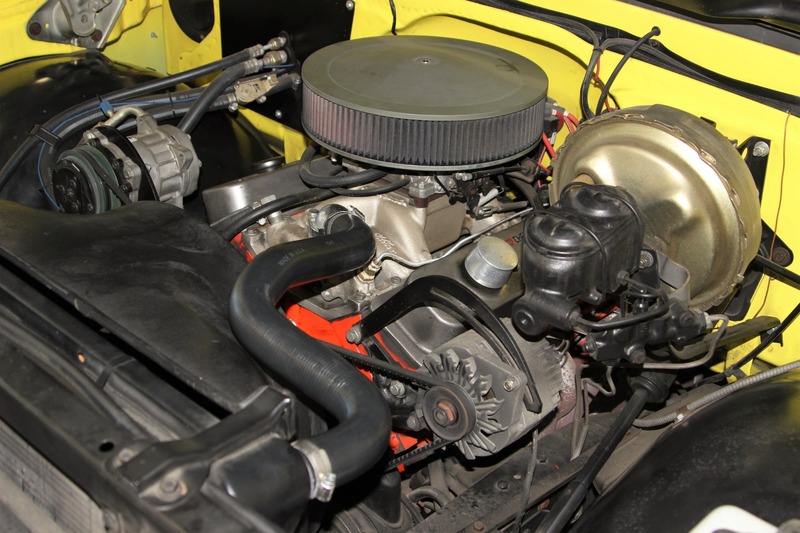 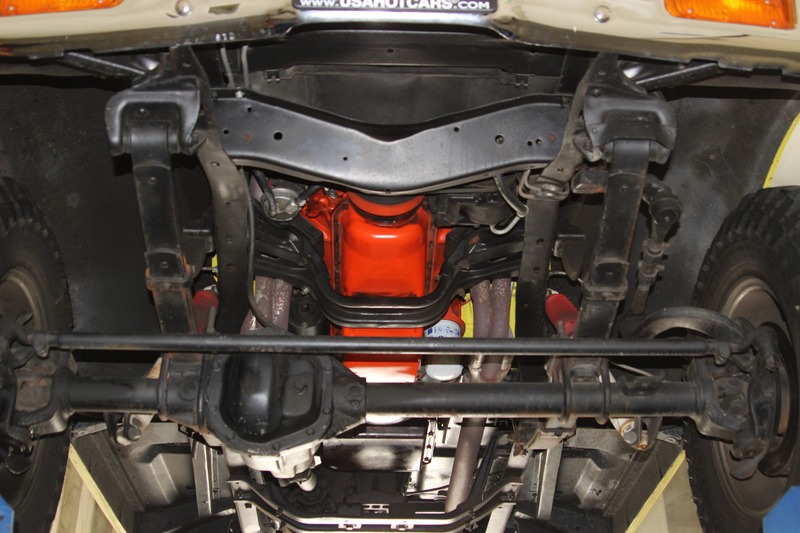 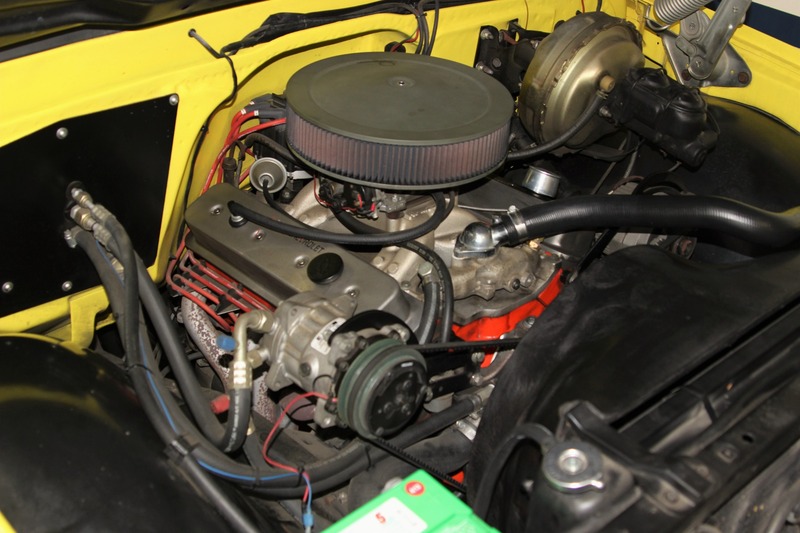 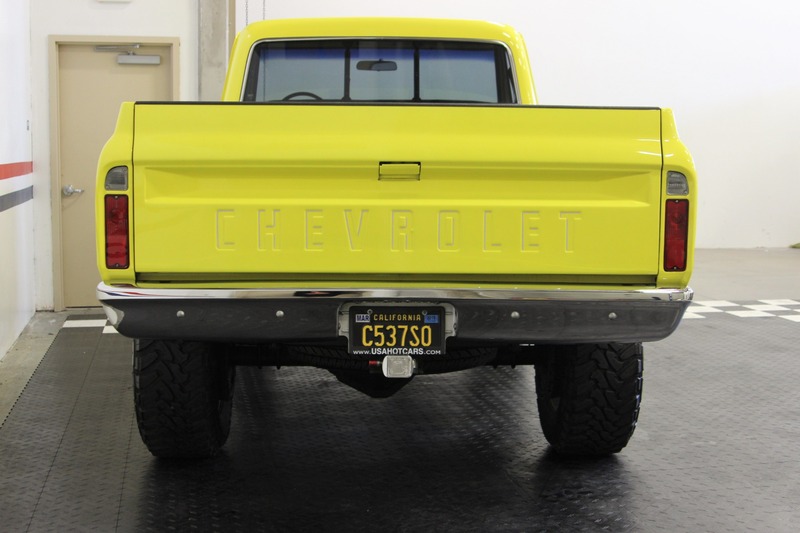 This Bright Yellow 1972 Chevrolet K-20 with a new Crate Engine, Air Conditioning, and Lifted on 35" Tires is a Classic American Truck with a bit of Modern Style. 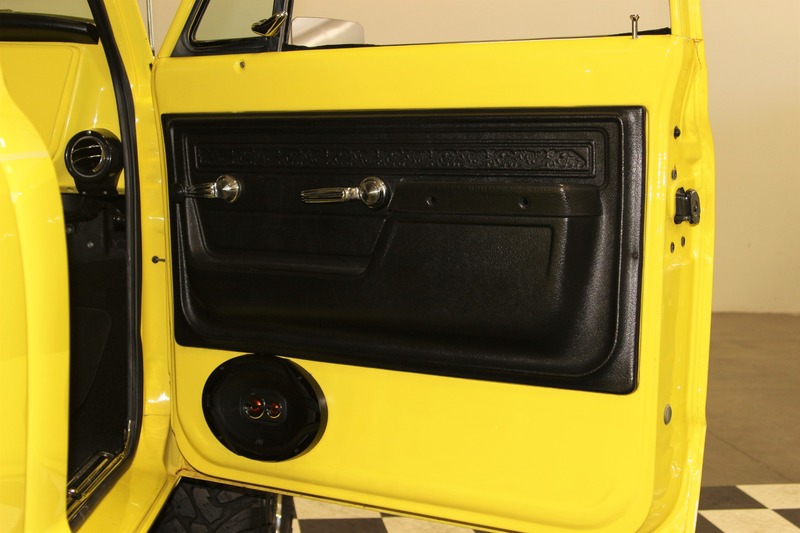 Gray Satin Finished Air Cleaner. 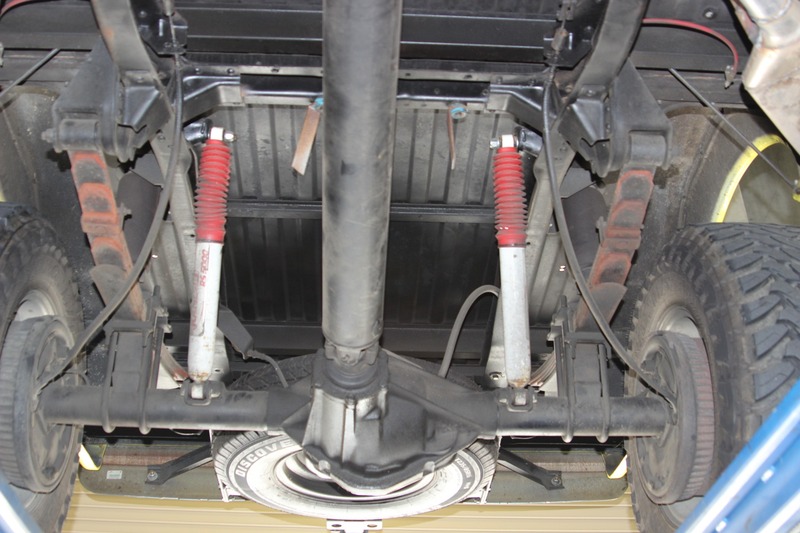 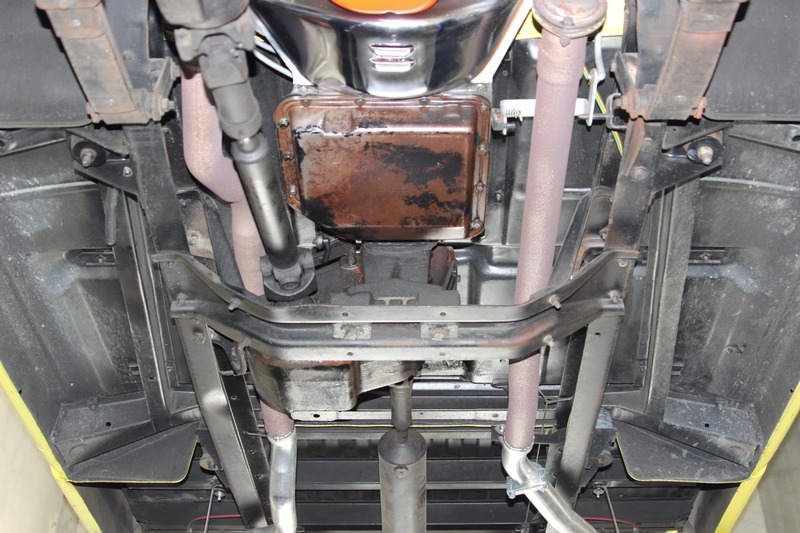 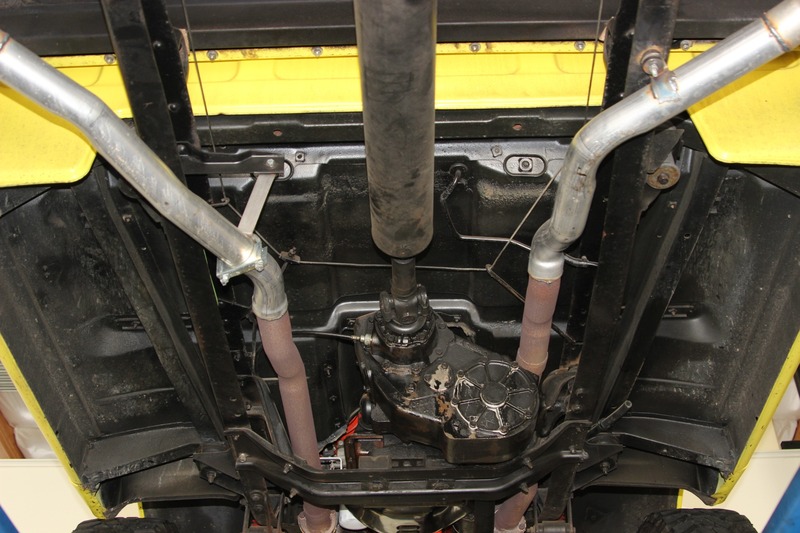 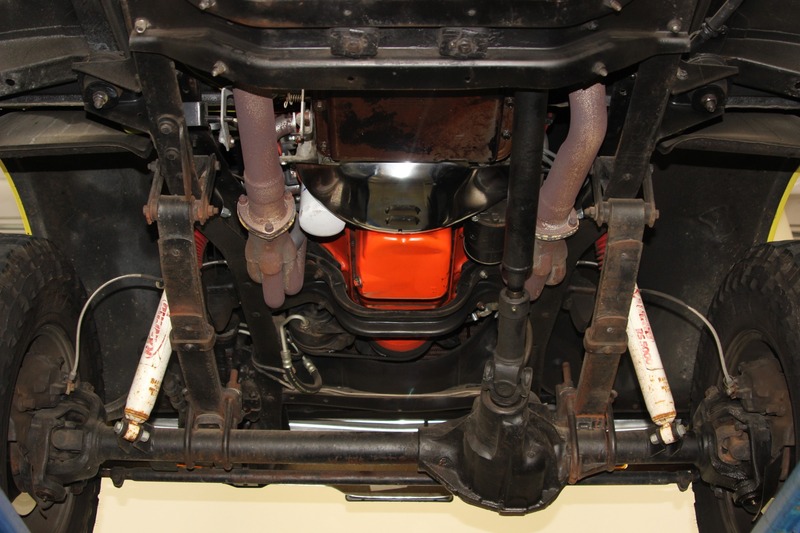 Dual Exhaust with Boom Tube Mufflers/Tips. 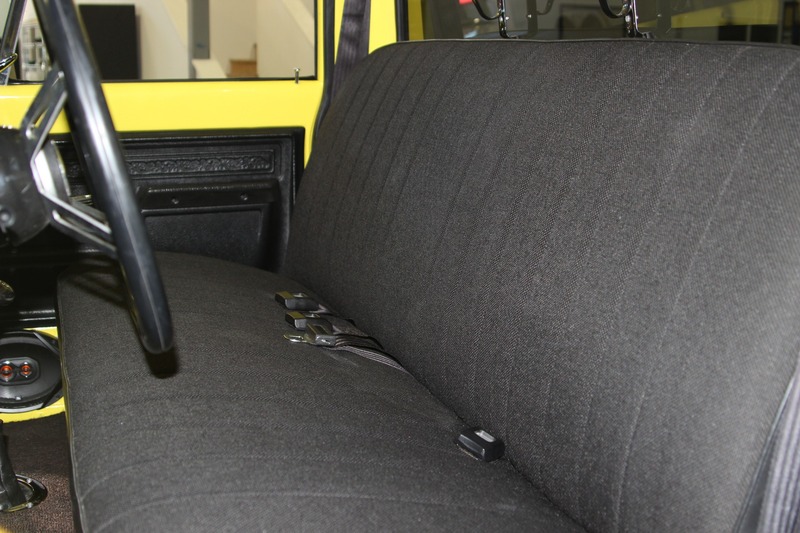 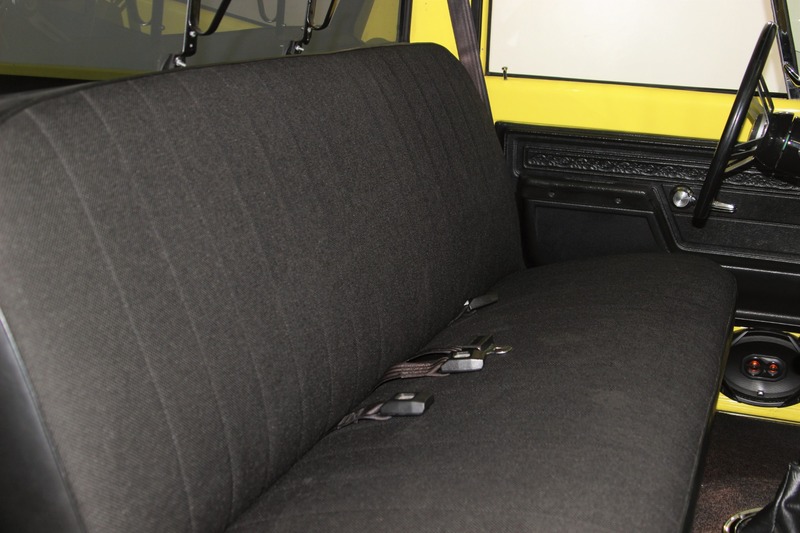 Vinyl and Cloth Bench Seat. 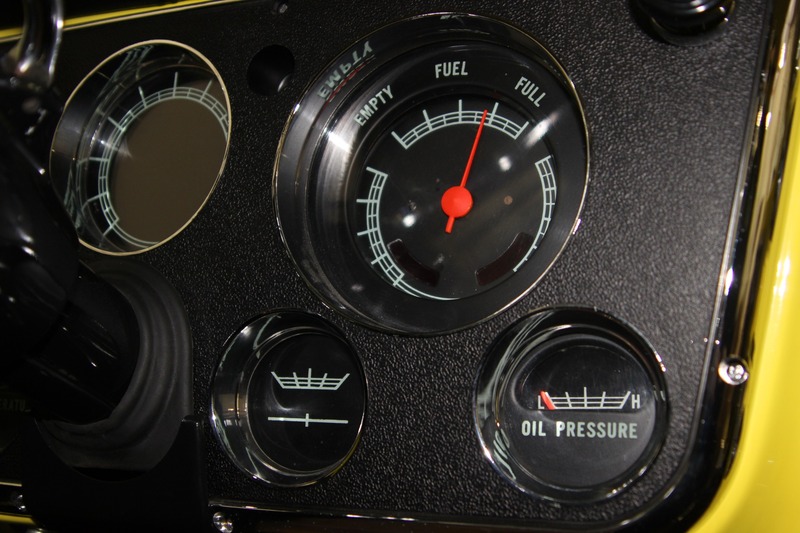 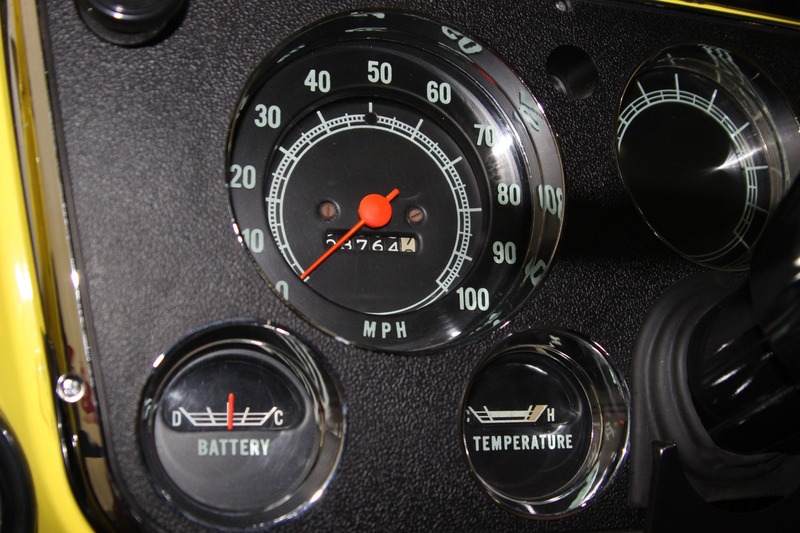 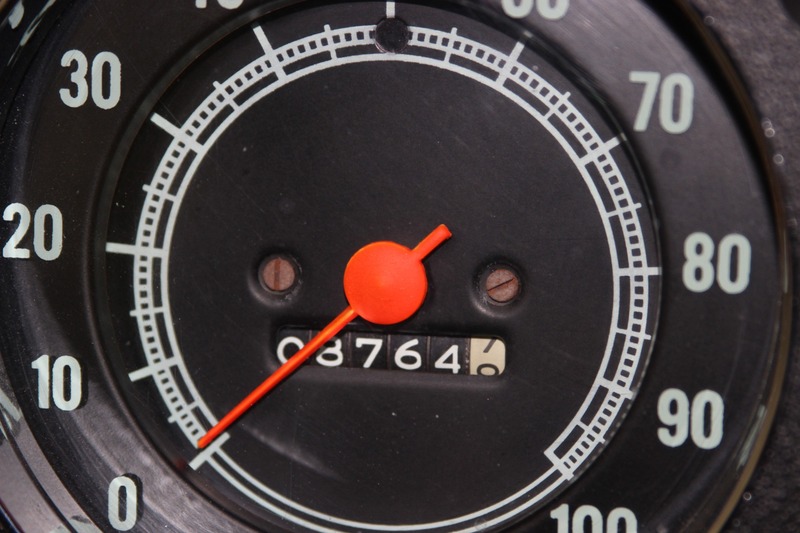 Auto Gage Auxiliary Oil Pressure and Water Temperature Gauges. 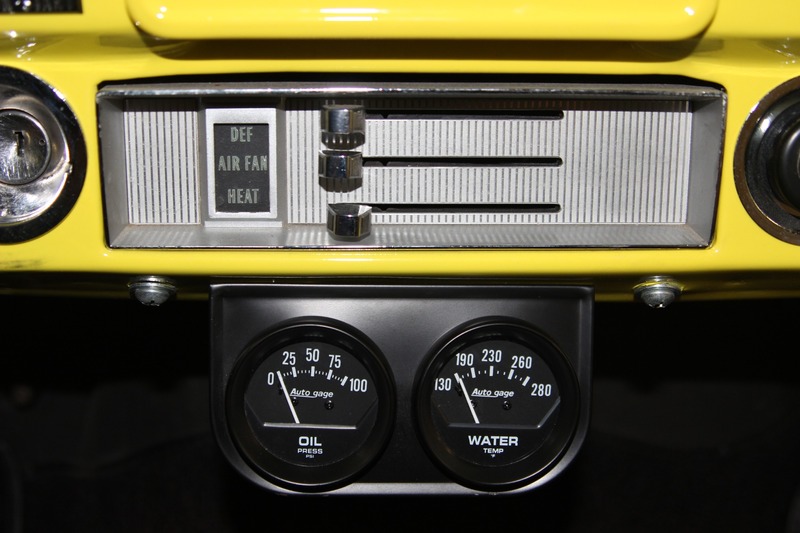 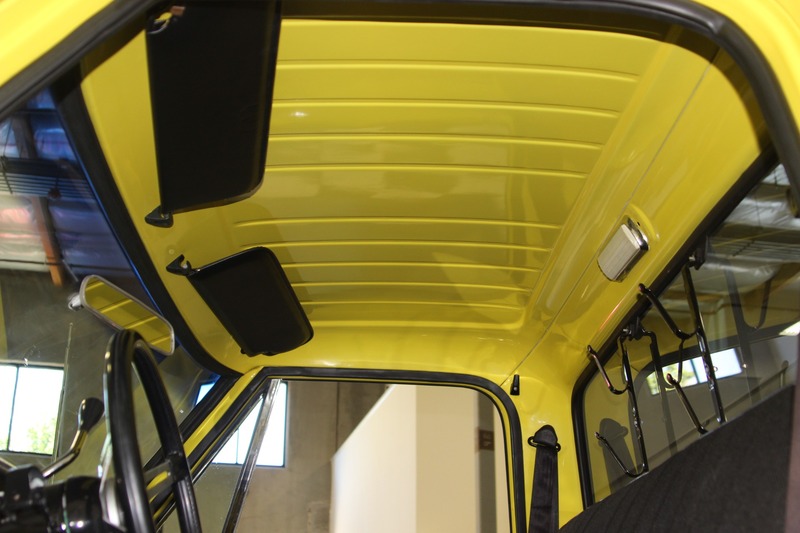 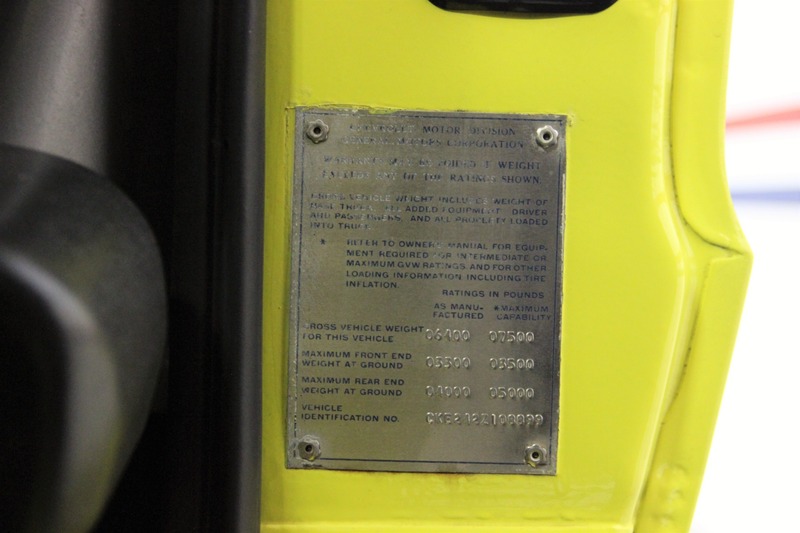 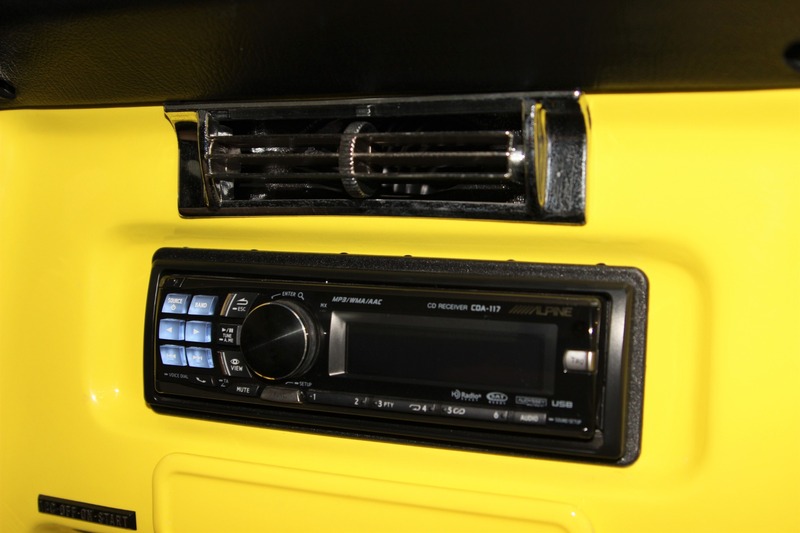 Original AC Cab with Vintage Air Conditioning. 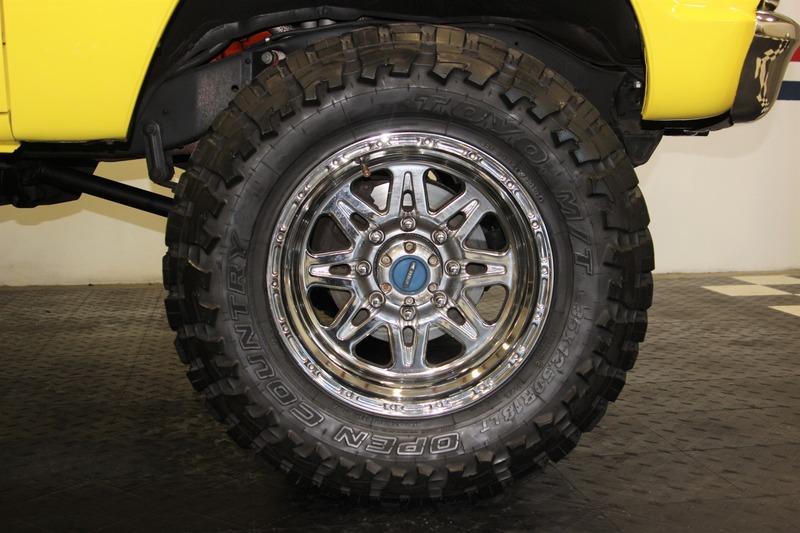 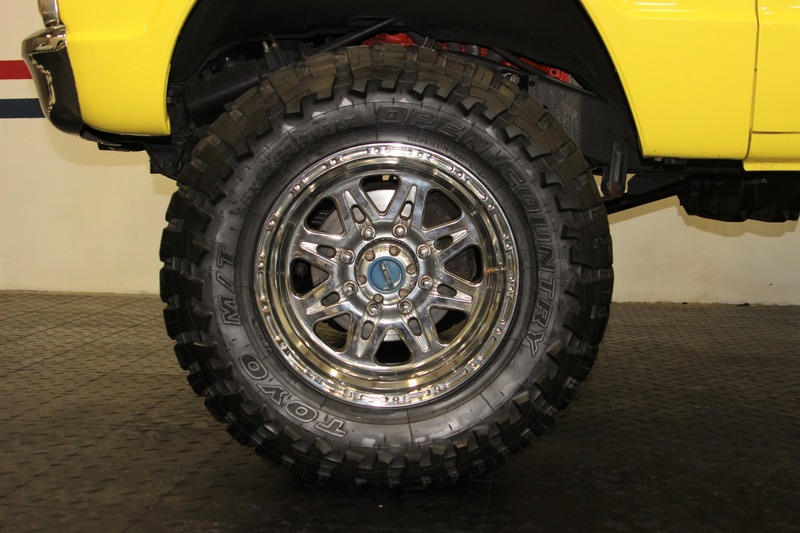 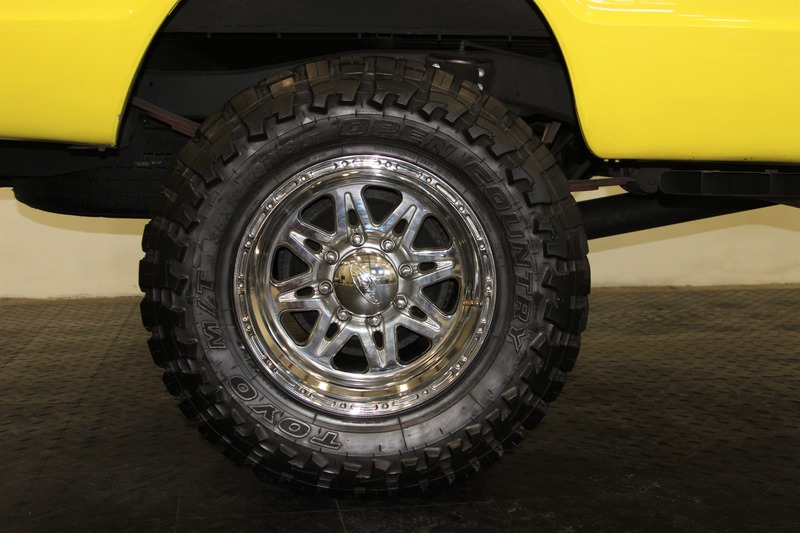 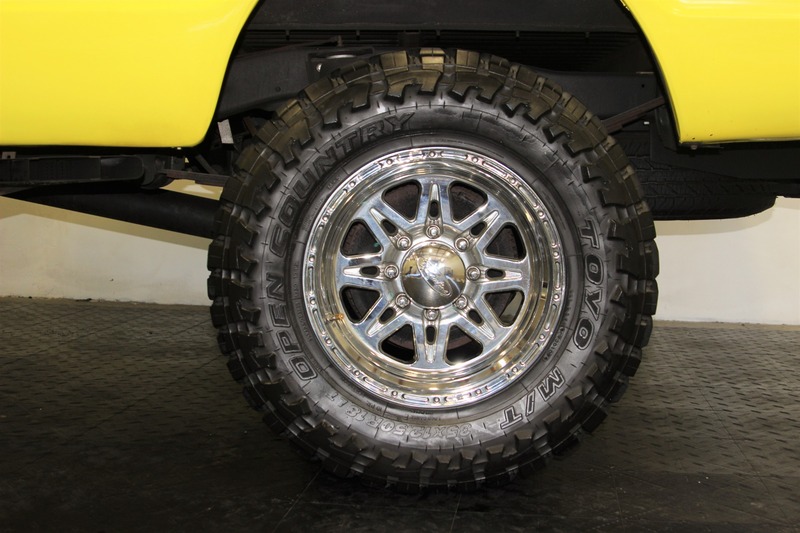 Toyo Open Country M/T 35x12.50.18 Tires. 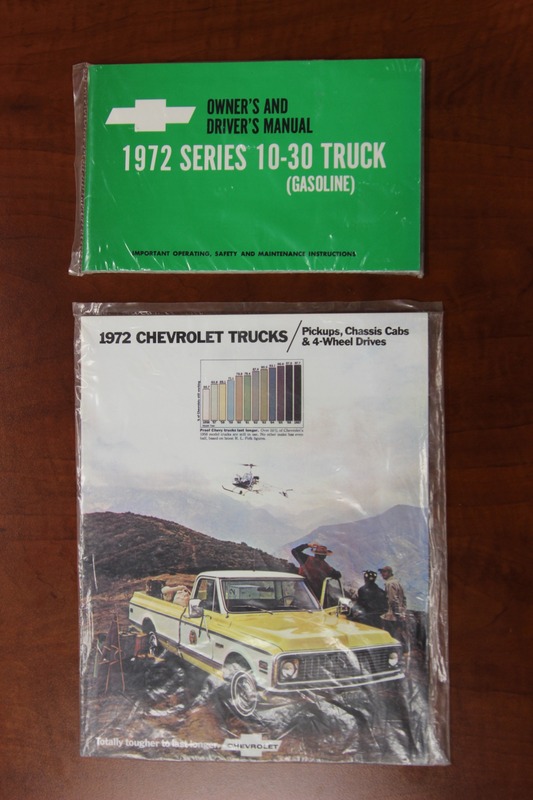 Original Owners Manual and Brochure. 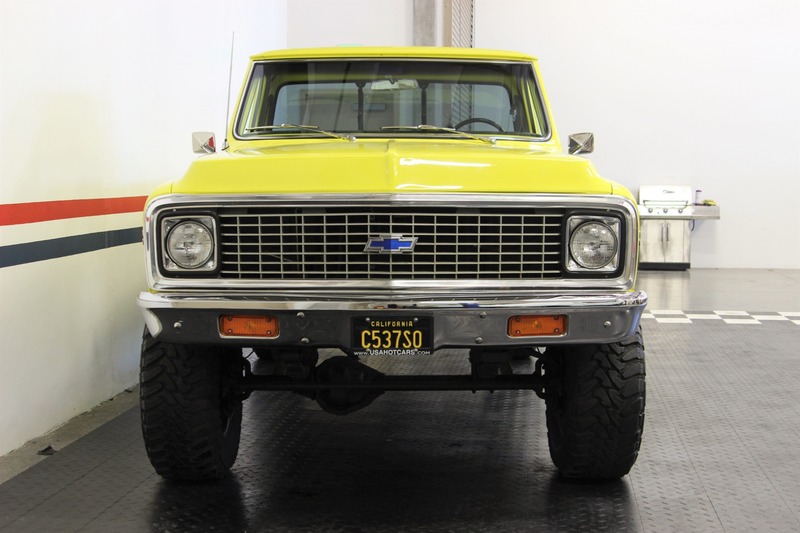 Original V8 Ton 4x4 K-20. 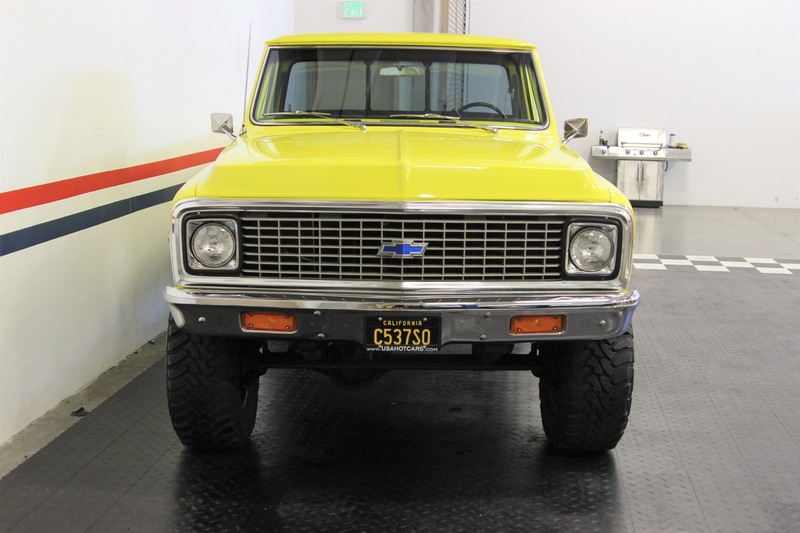 Original California Truck Built in Fremont.